VISITING GUEST CHOIRS IN JUNE! 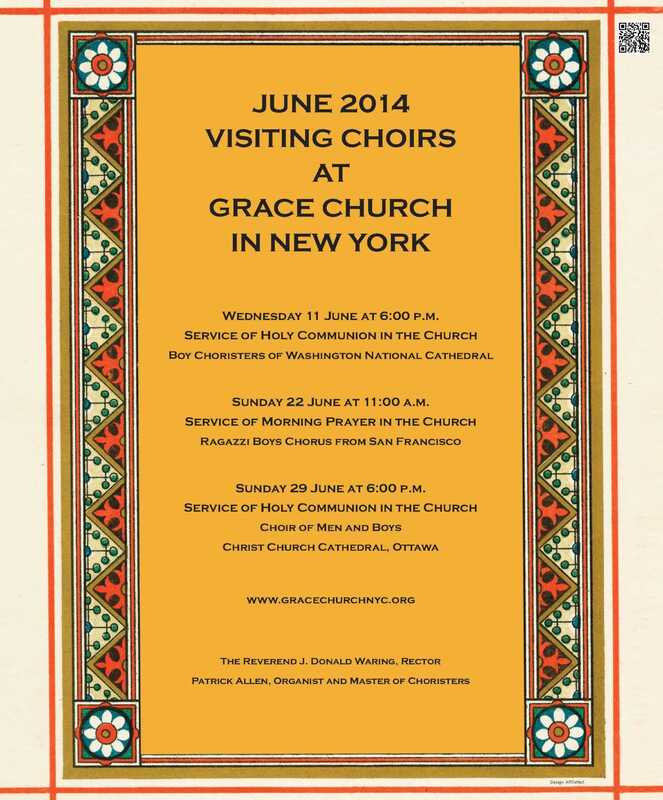 In June we welcome three guest choirs to Grace Church in New York! Bring Family and Friends and enjoy the musical offerings of these fine choirs! Wednesday 11 June at 6:00 p.m., Choral Prelude beginning at 5:40 p.m.
Sunday 22 June at 11:00 a.m.
Sunday 29 June at 6:00 p.m.